The Mirani Foundation recently sent a representative to explore a support opportunity in Haiti. In conjunction with the Haiti Outreach Program of Sacred Heart Cathedral in Knoxville, Tennessee we traveled to the remote clinic in Boule, Haiti to see how the Mirani Foundation could help. The Mirani Foundation looks for opportunities to support programs and organizations that utilize the highest percentages of the funds donated for the work and support of their stated mission. The Boule clinic certainly meets that requirement. 100% of the funds raised through Sacred Heart’s Haiti Outreach Program go to the education, healthcare and faith missions of the group. There’s still information to be gathered to determine if the Haiti Outreach Program will be a recipient of Mirani Foundation but the trip provided invaluable insight into the work being done by those in the states and their colleagues in Haiti. The area’s residents have had little or no access to regular and routine medical care until the construction of the clinic. 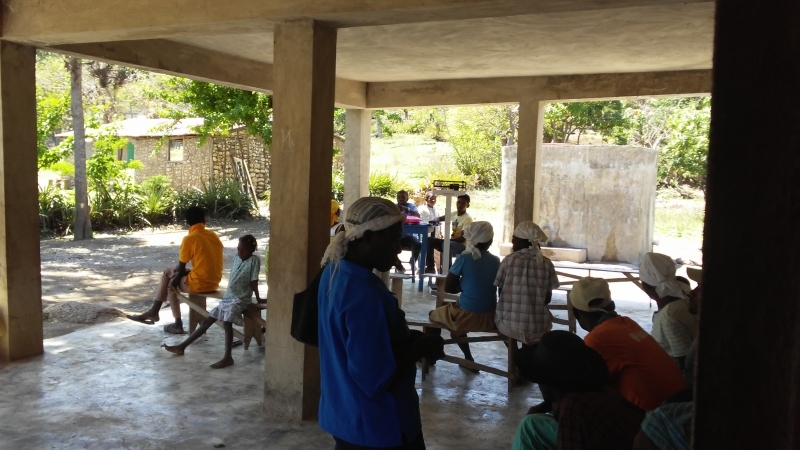 Travel to the clinic requires a 5-6 hour hike or donkey ride through the heart of Haiti’s plateau region. All materials have to be brought in by foot paths over steep mountains and ridges down into the valley where Boule is located. The area is inaccessible by vehicle. To construct a 4 room clinic in this area is quite an achievement. The team traveling to the clinic consisted of 2 doctors, a physicians assistant, nurse practitioner, pharmacy tech, 2 translators and Haitian support staff that helped with cooking and other needs. On our first morning at the clinic patients started arriving shortly after dawn. By 8:00am we were open and seeing patients. There was a constant stream of people coming through. We saw patients until about 1:00 and took a half hour break for lunch before resuming. Our last patient of the day was around 4:00. Overall we saw about 320 patients in 2 and a half days that we had the clinic open. This number was smaller than expected. This was due in no small part to the efforts of Wilmot, the nurse who keeps the clinic open 5 days a week. The number of people needing to be seen by a doctor was lower because there is care given regularly for many minor health issues in the village. During the trip in April a contract was arranged with Dr. Olgenn Octav, a Haitian resident, to travel to the clinic twice a month to treat more complicated cases. This also will allow the clinic to be certified by the Haitian government. Certification will allow for the clinic to purchase medicines in-country, saving time and money. It will also open up resources provided by the government such as regular vaccines and screening for disease and other support.